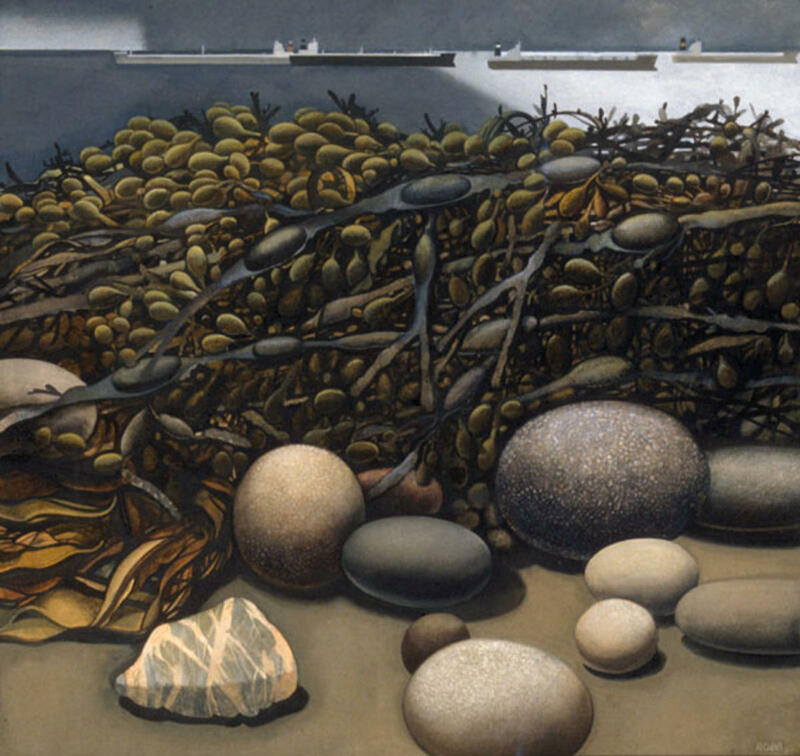 "A foreground of stones and bladderwrack (painted with the precision of a studio arrangement) occupies most of the image. Beyond, several tankers pass on the horizon. The then recent Braer disaster in which a tanker using a convenient but dangerously narrow channel ran aground contaminating the clean waters of Shetland, is the looming reference beyond the image" Euan McArthur. The disaster brought to light the full extent of the tanker traffic using the North Passage and Minches.